McDonald’s would make it’s appearance in the third position every so often pushing Papa Johns to the fourth spot but for the most part it seems that when Google users are searching for a quick bite to eat, they typically have pizza on their mind. 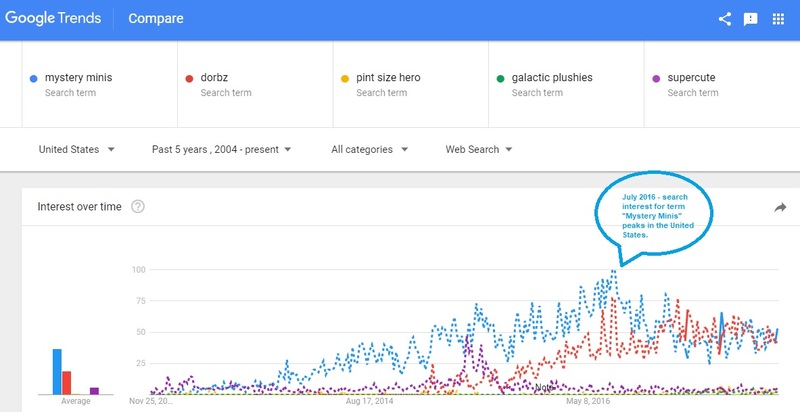 Another interesting fact was that over the last 12 months the most searched term in the food category was “Pizza”. I had a quick peek at the underlying corporation’s publicly listed shares. 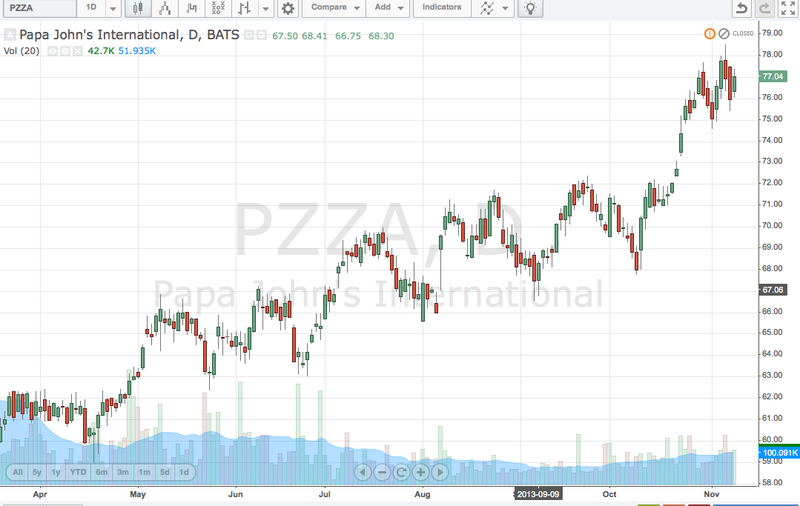 Not to my surprise, I noticed that the pure play pizza restaurants (Dominoes, Papa Johns) saw a significant jump in share price over the last twelve months that coincided with a neutral to slightly positive search trend data over the same twelve-month period. 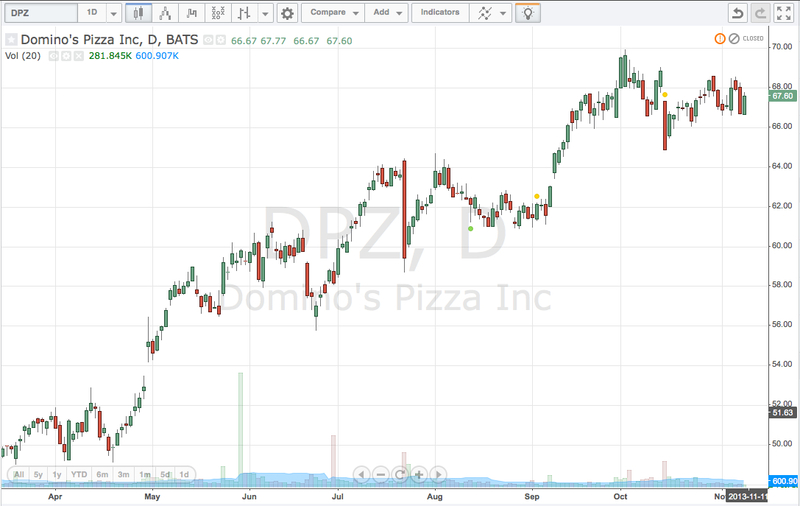 The search interest in “pizza” does not show signs of cooling off and that bodes well for the respective companies financial prospects. So if you’re looking to make dough you might want to go with pizza.